Whether you love going to the gym or hate the idea of sweating it out on sometimes complicated exercise equipment, mixing up your workouts is highly recommended. It helps to work out various parts of the body and minimizes the chances of you reaching a plateau. Though you could do things like take aerobic classes, go for a run, or groove it out to a workout DVD at home, women are finding even more exciting ways to stay in shape. Paddleboarding is a fun activity that works your body from head to toe. It’s a ton of fun and has so many advantages to your health and you can even do it while wearing cheeky swim bottoms and matching top! 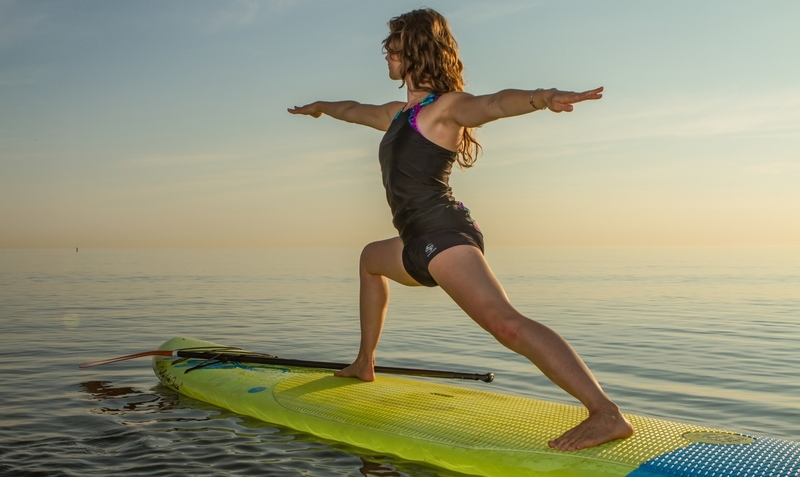 Here are a few reasons you might want to give paddleboarding a try. One of the first advantages of learning how to do stand up paddle boarding is that it gets you outdoors. All you need is the right sized women’s paddle board, a paddle, your best swimsuit, and the perfect setting like a beach or lake. Much like surfing, if you’re going to be a pro on the paddle board you’re going to need to learn how to keep your balance and go with the flow. You can almost guarantee that you’ll be working your upper body and leg strength to stay afloat. There’s something about being on the water that puts your mind at ease. The swaying back and forth of the waves or current feels great underneath your feet as you navigate and try to remain in control. The picturesque views of the sandy beaches or trees surrounding the lakes make it even more therapeutic. As you try to learn the watersport it takes serious focus and attention causing you to be mindful of the moment and unphased by whatever stresses you may have in your life. After you’re finished, you just might find yourself more relaxed, in a better mood, and/or at peace. 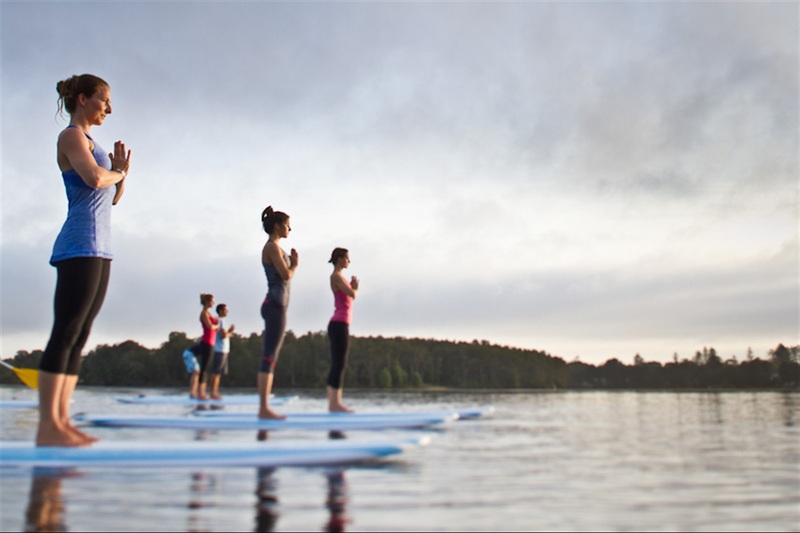 You won’t have to do anything after you’ve completed a few minutes of paddle boarding. You’ll need balance, strength, flexibility, and endurance to truly master it and that requires movement throughout your entire body. Maintaining stability on the board will require you to dig deep into your core strength and muscles. Yet, moving yourself and the board around the water will require continued balance and continual strokes from your arms and shoulders as you use the paddle to get around. You’ll find that weight loss and burning calories comes easy when participating in this fun watersport. If you’ve been looking for new ways to workout to add variety to your routine then you should definitely consider stand up paddle boarding. This low impact, fun, watersport is becoming increasingly popular for men, women, and children of all ages. More than just a fun activity it is a total body workout with a full experience helping to soothe the mind and strengthen the body.